GFG is an 8 week program designed by Grace Beverley (insta:@gracefituk). Grace was originally a BBG girl who got into lifting and started making some serious booty gains. Naturally, the guide has a large emphasis on doing the same 🍑🔥. The 8 week guide costs $49USD (about $65CAD), and she recently released weeks 9-16 which you can purchase for a bundled price. There is also recipe guide, however I chose not to purchase it. This review is for weeks 1-8 only, as I haven’t purchased or done weeks 9-16. 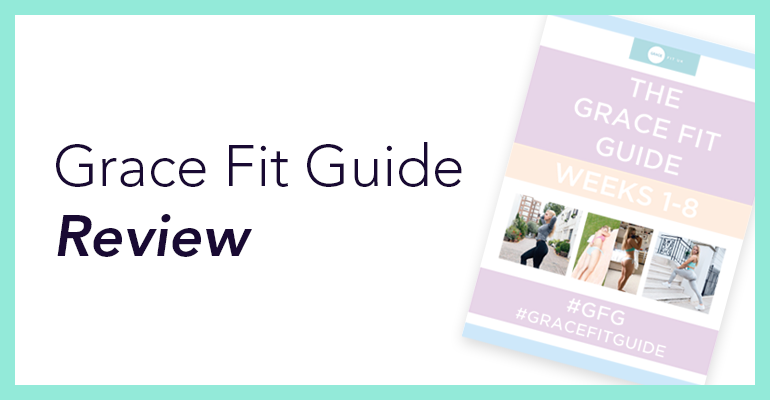 She released the guide at the beginning of 2017, and has since made an update to it based on everyone’s feedback (yay!). This update came in my final weeks of doing the guide, so the changes didn’t have a huge impact on my workouts or results. That being said, I was sent the updated PDF, and am taking the changes into consideration with my review!